West Newbury, NH Remodeling Contractor | Star Construction Company, Inc. When you’re thinking about renovating your West Newbury home, you want to choose a contractor who can get the job done right. Whether you’re thinking about a small addition or a whole-home remodel, choosing the right contractor for the job can make all the difference. At Star Construction, we love working with the historic homes of West Newbury, and enjoy taking in the beautiful sites of the town. The vibrant West Newbury community is constantly welcoming, and we love helping the residents take pride in their city by building the homes they’ve always dreamed of living in. The top picture on this page is of a deck and siding remodel we handled for one of our West Newbury clients. 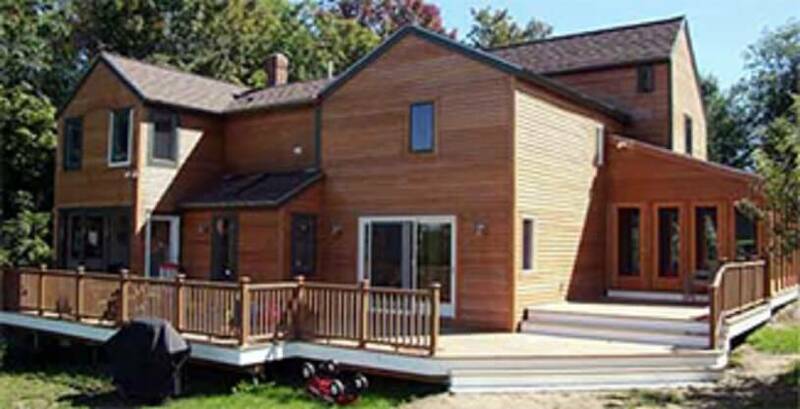 We gave their exterior a whole new look with a beautiful deck completed with Trex decking, and we introduced helical piers to the construction for improved stability. We also constructed a screen-in porch as part of the deck, and replaced all the clapboards for a seamless finish. 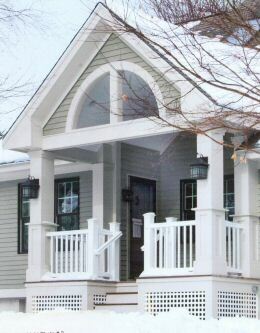 The second photo is of a beautiful front porch that we built, which changed the entire front façade of the client’s home. They wanted to increase their curb appeal, so we remodeled the porch and changed the windows as well. Star Construction won an award for this project. You deserve to live in a home that you love, and the team at Star Construction wants to make that happen. We have over 40 years of experience in the construction industry, and have worked on a wide variety of projects, both big and small. We’re registered, licensed, and insured, and only work with sub-contractors we’ve thoroughly vetted, so that you know you’re getting high-quality work with a strong attention to detail. Plus, when you work with us, we’ll make sure that everyone’s on the same page – from you to your designer, to the sub-contractors, to anyone else we’re working with on your West Newbury home remodeling project. We plan everything out before we ever lift a hammer, so that we can be sure your project will be completed on time and on-budget. If you want to work with an experienced, knowledgeable contractor who can handle any type of home renovation, contact Star Construction today. Schedule a consultation with us, and let us show you what we can do for you!